Whenever the little one cries, you can be sure that he or she has a need which has to be fulfilled, and crying is one way of communicating her feelings to you. The thing is, new parents might find it tricky to figure out just what baby wants, and hence the pacifier could be the universal “cure all”, to so speak. 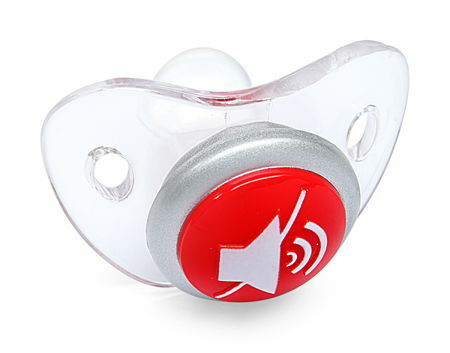 Why not add some drama to the scene with the $9.99 Mute Button Pacifier? 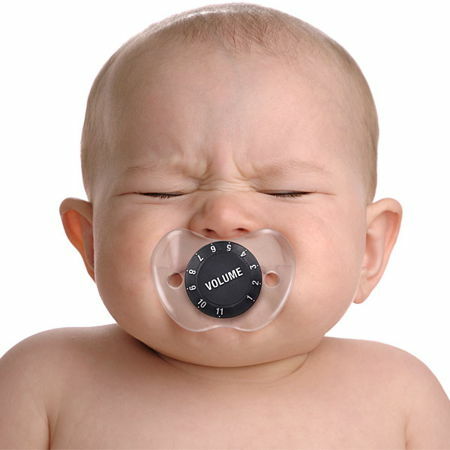 The name of the Mute Button Pacifier says it all – while the pacifier is made from silicone and is BPA-free, it will do its job to calm the baby, and has the “Mute” sign on the outside, showing the world at just how effective and magical this is – just make sure it remains in place and you’re good to go.